When it comes to selecting appliances for your home, you have a lot of different choices to make. 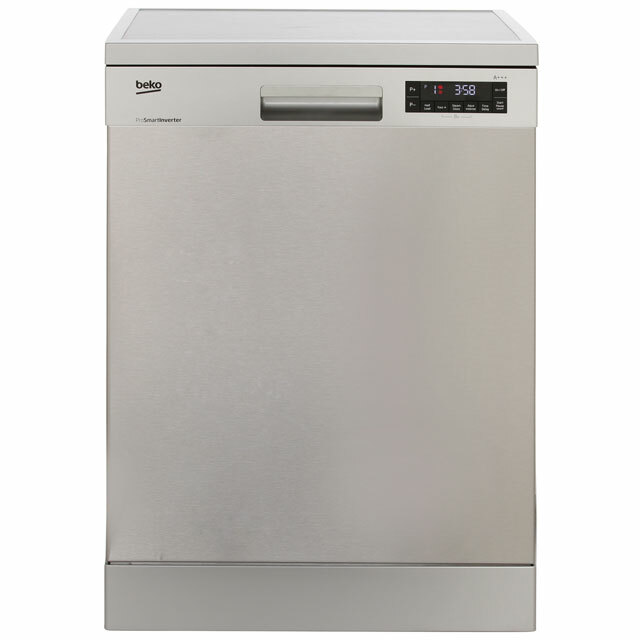 If you are talking about dishwashers, you might want a machine that holds a certain number of place settings, or you may have special wash cycles or cleaning features that appeal to you. As a further choice, you also have different finishes to consider. 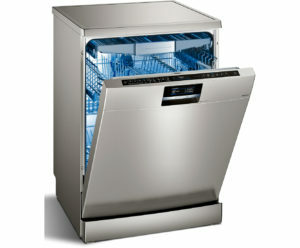 While white does happen to be the most popular finish for dishwashers, you do have some other options. If you look around, you will find that you can choose from a good selection of machines that come in colours like black, grey and silver. 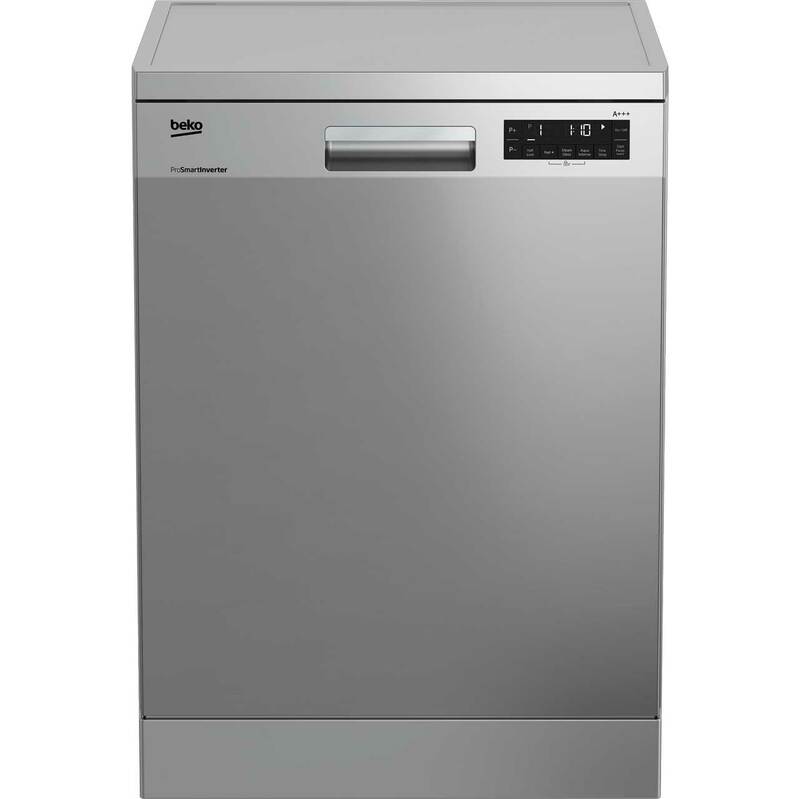 Beyond the range of colours, you also have stainless steel dishwashers, which are proving a popular choice among some homeowners. People like stainless steel appliances because they have a slick, industrial kind of look to them, but their popularity goes beyond mere aesthetics. Stainless steel tends to be more durable, and it is resistant to staining (the name is a bit of a giveaway), so for many, it is also a more practical choice than going with a machine that has a painted finish. With white being the most popular colour for appliances, you’ll find that it offers the widest selection to choose from, but there is no need to worry if you want a stainless steel dishwasher. Most of the top manufacturers make at least a few models in stainless steel, and you can find models that have all of the different features that you may want. In addition to that, you can find stainless steel appliances that come priced to fit every budget. Once you know that you want a stainless steel model, you are still going to need to consider all of the same points that you would have to when selecting one that comes in any of the other colours or finishes. 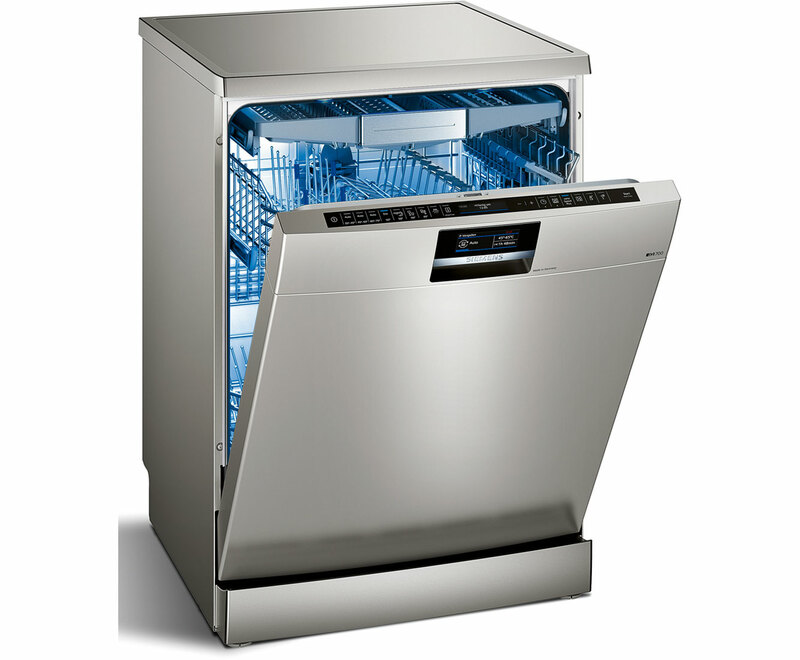 With that in mind, let’s take a quick look at some of these points below before moving on to our picks for the top stainless steel dishwashers. Whether you are choosing stainless steel for the practical benefits or because you like the way it looks, there is more to getting the right appliance than just selecting a finish. In this section, we are going to do a quick overview of some of the most important points that go into finding the right dishwasher for your home. 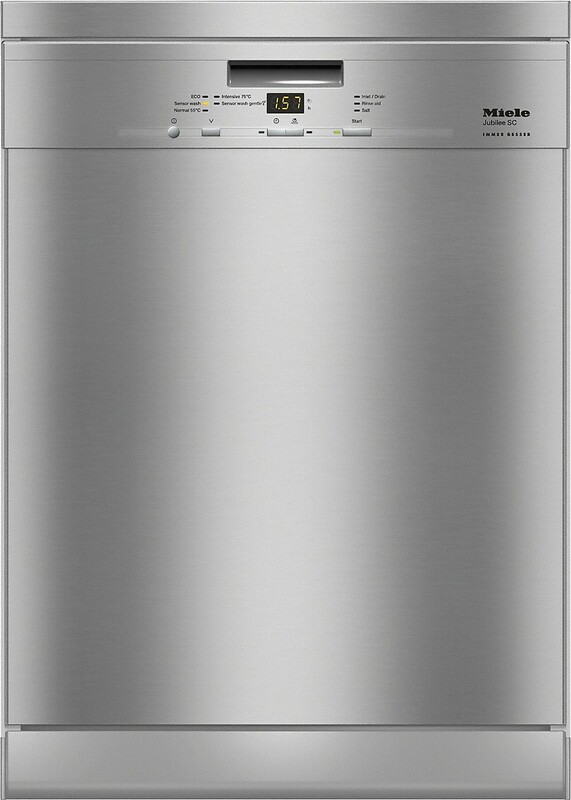 To get a more in-depth view of buying a dishwasher and the points that should be considered, head to our dishwasher buying guide for more details. Some people put a high value on having a great selection of programs and features, but for many, it is only important to get a machine that covers the basics. For advanced functions and features, you might want to look for things like sanitising wash, glass care, sensor washing, extra drying and more. Depending on the size of your family, and the amount of dishes that you use during the average day, the capacity of the machine can make a significant difference. For most homes, 12 or 13 place settings will be adequate, but there are models that can hold 14 place settings or more. You obviously want to get a machine that can hold enough to handle your family’s daily needs, or you may find that you have to wash multiple loads, and this not only adds to the work, but it will also mean that you are likely to use more electricity and water. 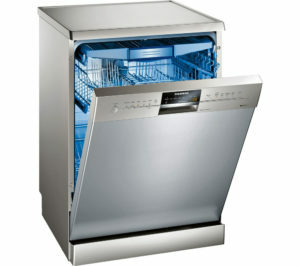 Rack design has really come a long way since the first dishwashers were released onto the market. With the modern machines, you have a range of adjustable options that can improve the versatility of the interior, and with the right racking solutions, it can also make the machine easier to load. Now you can look for rack features like top baskets that can move up and down, folding tines, special compartments that can fold up or be removed, and you have options like choosing between a third level cutlery tray or a cutlery basket. 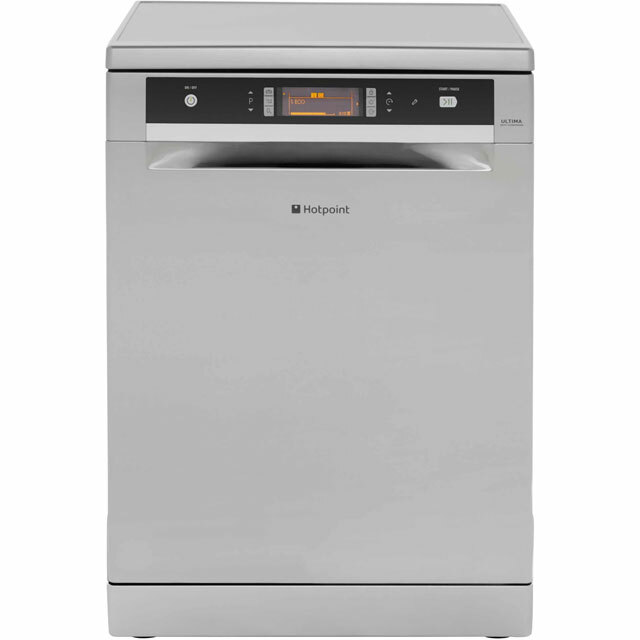 While the versatility and flexibility of the interior is certainly going to have an impact on the ease of use of a dishwasher, there are other points that help to determine how user-friendly the machine will be. Simpler machines that have fewer features and programs tend to be easier to use, but there are some points that can help to make any machine less of a hassle to operate. In general, this comes down to the layout and the design of the control panel. With good controls, you can easily (and quickly) navigate and select the features that you want, so this is something that you may want to consider. So, without further ado, here are our top picks for stainless steel dishwashers for 2017. We hope you find our recommendations helpful. 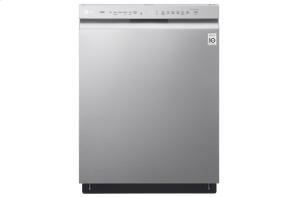 If you have the money to spend, the Siemens iQ-700 SN278I01TG is without a doubt one of the best dishwashers that you will find. It is exceptionally well made for a long operating life, it employs the use of advanced technologies to provide good results while also being easy to use, and the stainless steel finish is fingerprint-resistant. When it comes to the quality of the cleaning, this machine is a top performer. You get 8 wash programs, including sensor wash settings for low temperature, normal and intensive, plus it has a 30-minute quick wash, an eco-wash, a quiet night program, a glass program and a pre-rinse program. In addition to that, this machine has features like half-load, intensive zone, sanitise, a time saver and the shine and dry feature. The SN278I01TG from Siemens is also easy to load and get going. The machine holds up to 14 place settings, and you have a lot of loading options with the adjustable racks. Both baskets have a number of folding racks and tines, it has a special rack for wine glasses, the height of the top basket can be adjusted to three positions and it has the third level cutlery tray. Once you have it loaded, the controls are simple and easy to use. This dishwasher has an electronic button control panel located at the top of the door. There is an individual button for each program and feature, plus the display on the top of the door shows all of the features and options that have been selected and also shows the time of the cycle. On the front of the machine, you also have a TFT display that provides a countdown timer and all of the feedback that you could need. The Miele Jubilee G4940SC is another machine that fits in the higher price bracket, but the quality and reliable performance make it well worth the cost. This is a 14 place setting machine that is built to last, and it is also very easy to use. This model from Miele does not come with the most options, but it does have a number of great features that help to make it very versatile. To start, you have four washing programs. It comes with sensor washing for normal and glassware/delicate, and it has cycles for intensive and ECO. You also have a speed up feature for cutting cycle times, and while it does not have a selectable half-load feature, it does have automatic load size detection that does reduce the water use for smaller loads. 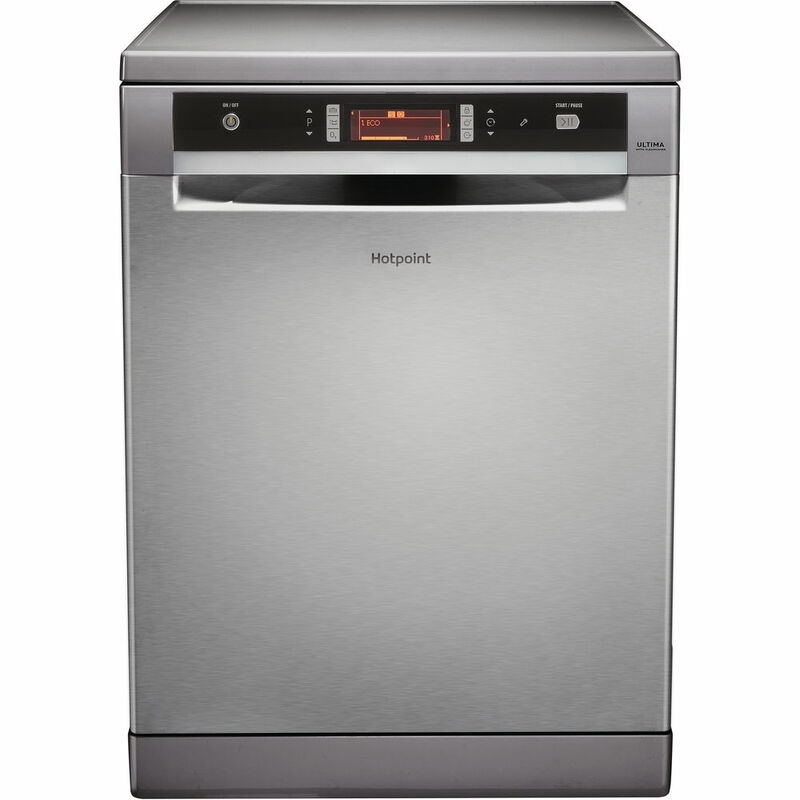 As with many of the dishwashers from Miele, the interior has a smart design that offers a lot of options and it is easy to load. Both of the main baskets have folding racks for adding different items, the top basket can move up and down, and it has the third level cutlery tray. As a nice additional feature, the cutlery basket itself is adjustable. It’s called the 3D cutlery tray because it can be adjusted in three directions, and this allows the machine to accommodate a wider variety of loading arrangements. The controls on this model are also fairly simple. You have a single program button for cycling through the different settings, then you also have a button for the time saver and the delay timer. This model also comes with a countdown timer on the front and it has indicator lights for things like salt and rinse aid. 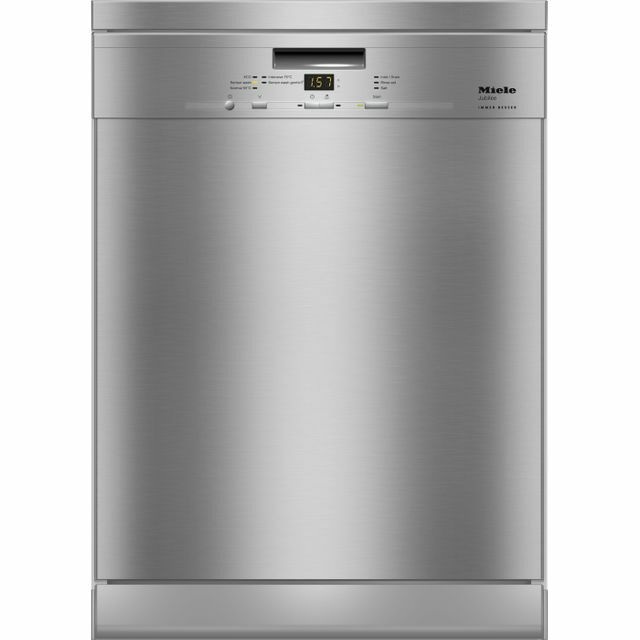 For the quality of its build and great selection of features and programs, the Siemens iQ-500 SN26M892GB makes for a great dishwasher. It is still a little on the expensive side, but if you like the above-mentioned model from the Siemens iQ-700 line, but don’t want to spend that much money, this one makes for a great compromise. When you look at the programs and features, you see that this machine has a lot to offer. The user gets 6 programs for washing dishes. The selection includes sensor wash programs for normal and delicate, it has an intensive wash, an eco program, a 30-minute quick wash and it has a pre-rinse as well. For added features, the user can also select options like half-load, intensive zone, extra dry and the VarioSpeed time saver. The rack design on this machine offers a lot of options, and while it may not be quite as versatile as the interior as the models from the iQ-700 line, it does have more than enough options for most homes. It has the 3-stage adjustable top basket, the third level cutlery tray and it has folding racks and tines. In addition to that, it does come with a few special racks and tip-up trays. With this model, the controls are on the front. It has an LED display in the middle of the control panel and then you have buttons on the each side for selection programs and options. The controls are all electronic pushbuttons, and everything has its own button. All in all, it is very easy to set up and get going. 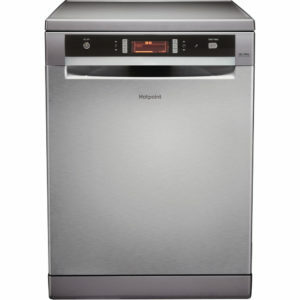 If you want a more affordable dishwasher that still comes with a lot of options, the Hotpoint Ultima FDUD43133X is certainly one to look at. This machine can fit up to 14 place settings per load, it comes with a great selection of features and programs, and it is very easy to operate. For cleaning, most users are going to be very impressed with this machine. The FDUD43133X comes with a total of 11 programs, and it has sensor washing for two of the settings. Included in the list of cycle options, you gave auto normal, auto fast, auto intensive, express 30, eco, delicates and a sanitising wash. For adding options to the cycles, you can also choose from features like a time saver, extra drying and it has a zone wash. While this machine does not have the most versatile interior, it still comes with a good number of rack options. You can adjust the height of the top basket, it has some folding racks and tines, plus it has tip-up compartments and trays for large utensils. It does not have the third level cutlery tray, but it does have a basket that can be removed and adjusted. The controls on this model are simple and easy to understand, but this is one area where this machine could be better. It has individual buttons for all of the options, which is good, but you only have up and down buttons to cycle through the programs. With 11 options, it would be easier if each had its own button. 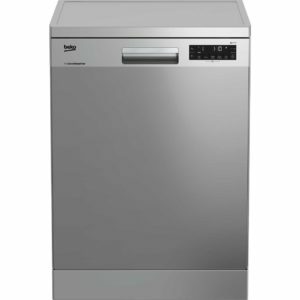 While it might not be the best stainless steel dishwasher, the Beko DFN28R31X Beko DFN28R31X does make a great pick for people that want an inexpensive machine that still performs well. It has a load capacity of up to 13 place settings, it comes with a good range of features and options and it is a well-made machine. For washing dishes, this machine comes with 8 programs. Along with an auto sensor wash setting, the DFN28R31X from Beko also has a 30-minute quick wash, an eco program, a glass care program, quick and clean and it has an intensive wash. For added options, the user can select from a time saver, steam gloss, half-load and it has Beko’s Acquaintance zone wash.
For the price, this dishwasher is fairly versatile on the inside. You can adjust the height of the top basket, it has special racks for some of the dishes, it has the third level tray for cutlery and large utensils. In addition to that, it also has a removable cutlery basket, so it does provide a good number of loading options. The DFN28R31X from Beko also has easy to understand controls. It has up and down buttons for cycling through the programs, and you can select the different optional features by pressing the individual buttons on the control panel.